ity standards mean consistent pound cakes batch after batch. 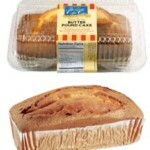 Our pound cakes are Trans Fat Free as well. featuring the Boston Coffee Cake brand, UPC, a nutrition panel and ingredient statement. A rich and buttery pound cake with the traditional tight grain expected from old-fashioned pound cakes. 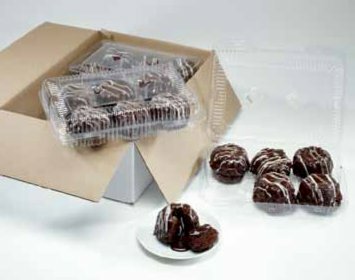 Perfect alone or as a start to many snack and dessert items! 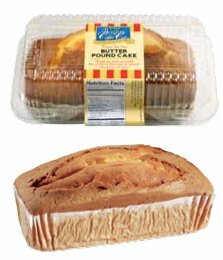 We take our rich chocolate cake and swirl it into our creamy butter pound cake for a delicious take on the traditional. A favorite of both pound cake fans and chocolate lovers! Delicious, creamy pound cake for those on sugar-restricted diets. All the great taste and pleasing texture without all the sugar. Case pack: 12 16 oz. 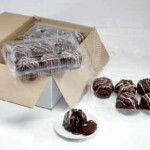 cakes per case; weight 14 lbs. ; box dimensions 18”x 10.5”x10”; cube 1.09; TiHi 10/6.